A dental invoice is an invoice specifically used in dental clinics for detailing and listing all of the dental services that has been performed on every client. 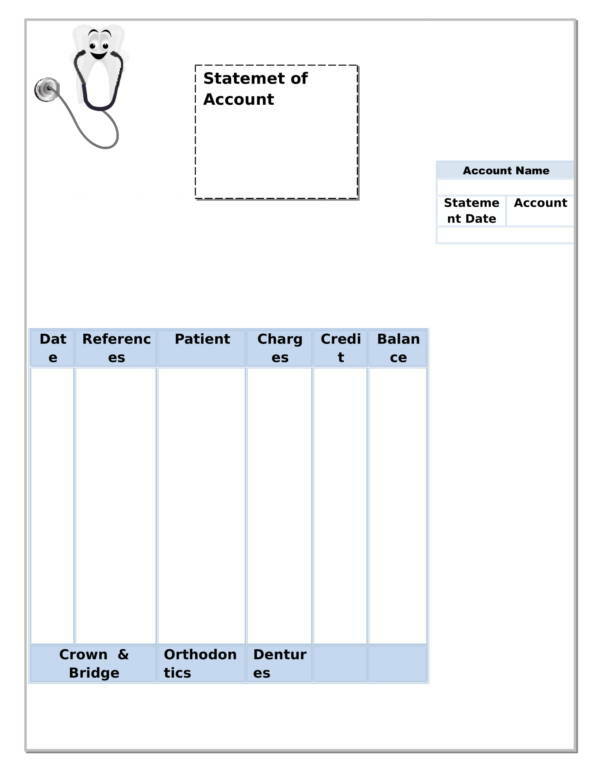 The details included in the invoice includes the name of the dental clinic, the attending dentist and their license number, the name of the patient, their age, the date type of dental procedure performed, a diagnosis of the dental findings, the date when the procedure was performed and many more. A proper and complete dental invoice is important to ensure that the business is being run legally and is following the specific rules and regulations to which they are under. 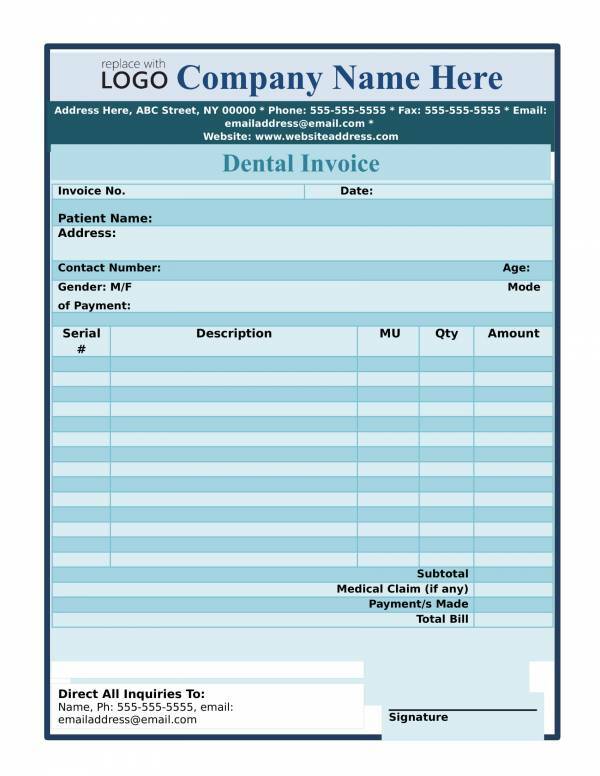 Dental invoices also serve as important client records that is why every dental establishment should have one. 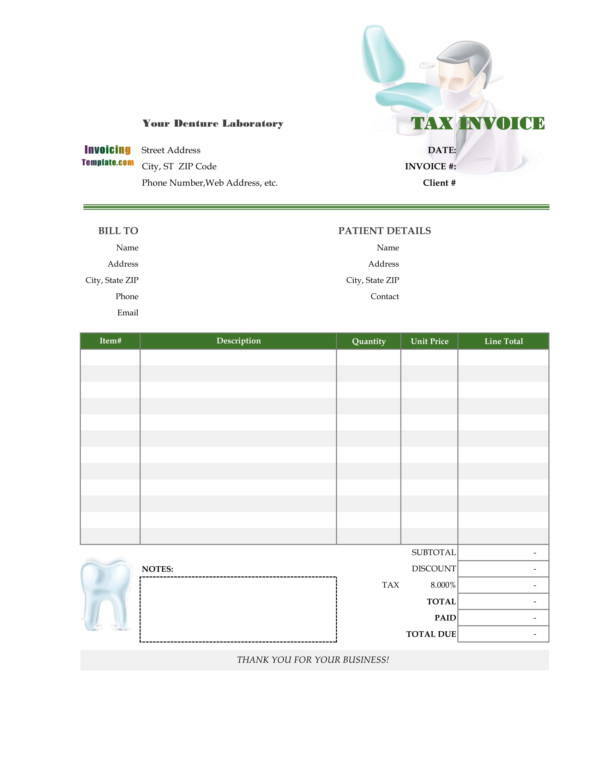 If you need any, then you can check out the dental invoice templates included in this article. Feel free to check them out below. You may have already guessed what a dental invoice is specifically used for, but did you know that it has other uses aside from providing details of the dental procedures that your dentists did. 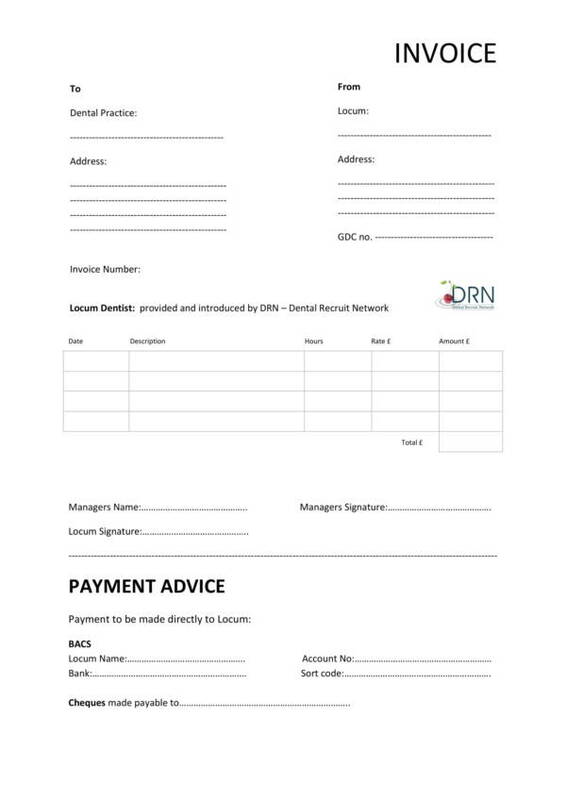 Dental invoices are used both for personal tracking and legal purposes and to get to know these uses in detail, we have a list of them below. A dental invoice is basically used to request payment in a professional and polite way for the procedures or services performed to a client or patient. As mentioned, dental invoices display the list of procedures that your dentists did to your teeth. This is so that you will know what these procedures are and tell you how much they cost. But another important use of this information is so that your dentist can keep track of those procedures and on which tooth or teeth it was performed on. The requires that invoices be issued for every transaction made by a business, regardless of what it is. This is so that they can properly keep track of their transactions and whether they are taxing their clients properly or not. Keeping records of dental invoices will also greatly help the business avoid audits. if in any case they get audited, the dental invoices that they have issued and kept will serve as their proof that they are doing legal transaction to all their clients. Doesn’t that just sound convenient? There is a big connection between your invoices and your taxes. Through those invoices, you will will have an accurate reference on how much tax you should declare and how much tax you should pay. This will ultimately save you from any legal troubles. Trust me, you really wouldn’t want to be involved in any of them. Dental invoices are also good sources of client information that is why it is best to keep them in your record file for future references. Invoices are also useful documents that you can show proof for tax deductions and tax exemptions. Well, that not just provided you with the uses of a dental invoice but it also explains why it is necessary that you use one for your dental clinic. 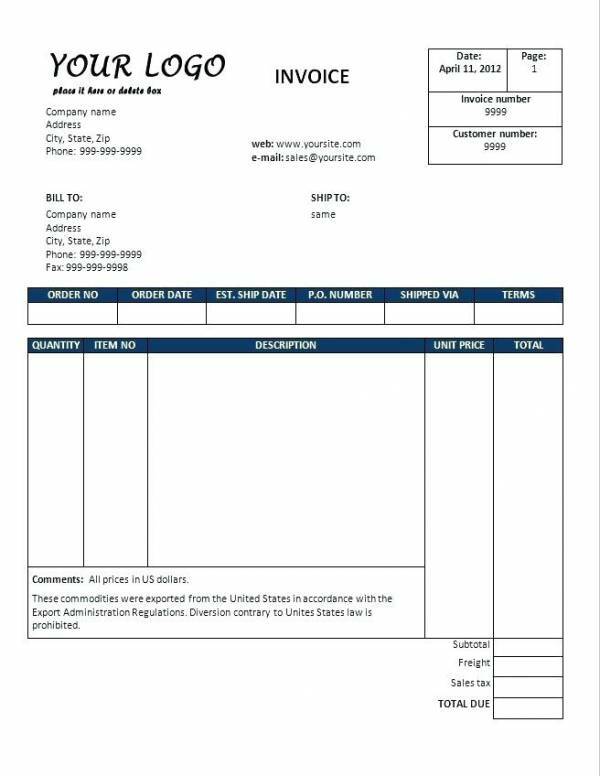 We have other invoice related articles on our website that you may also find useful and they are Handyman Invoice Templates, Advance Payment Invoice Templates, and Restaurant Invoice Samples & Templates. There are a number of invoices that are currently being used in various business industries nowadays and naming each one of them would probably take forever to finish. On the other hand, there are these main types of invoice where all the other specific invoices fall under and they are pro forma invoice, credit memo, final invoice, past due invoice, and recurring invoice. Let us further get into detail about them below. We now know that one of the uses of an invoice to request for payment. A pro forma invoice however does not function or is not used in that way. It is mainly used as a document that states the seller’s commitment to provide its buyer with the specific goods that they have requested in a specific amount or price. In customs, a pro forma invoice is often used to declare the how much the items in a specific package costs. 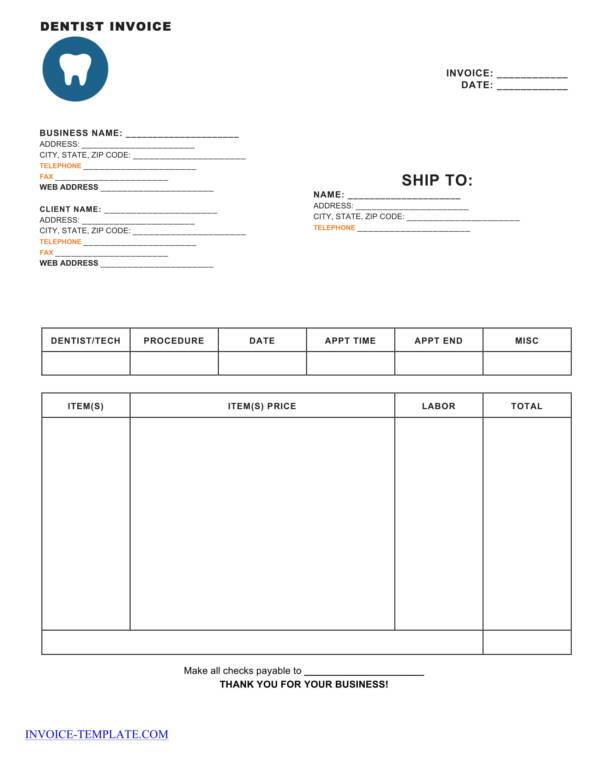 In some few cases, this type of invoice is issued by the seller to request for advance payment to start the production of certain products or to make sure that the buyer is seriously committed to the paying for the products that they have ordered. There are instances when a buyer would return the good they have ordered because of some allowable reasons. It could be due to the product being damaged, defective, or the seller has sent the wrong items. Providing a credit memo is a form of acknowledgement that you actually owe the buyer some money for the returned products. It could either be the same amount as what was originally paid or lesser. With this, you can offer the buyer a refund or a credit that they can use for their purchases in the future. A final invoice is one of those invoices used to request for payment. It is the last invoice that you a business will have to issue following the completion of a particular service or a large project. The details of the invoice, includes the services or tasks done, the materials used, the due date of the payment, the total payment amount and the accepted payment methods. A final invoice should be immediately sent or issued to the client to ensure that payments are done and received on time. If a client or customer fails to make a payment on the scheduled due date, then you will need to send another invoice, which is a past due invoice. Just when you thought that the final invoice is the last one you will ever have to issue. This invoice will include additional charges like late fee or past due charges on top of the total amount that your client originally had to pay. If they still are not able to pay on the specified dates that you have provided, then you may want to set up other payment plans or consider hiring a collections agency. A recurring invoice works just like those of recurring utility bills and monthly subscriptions. 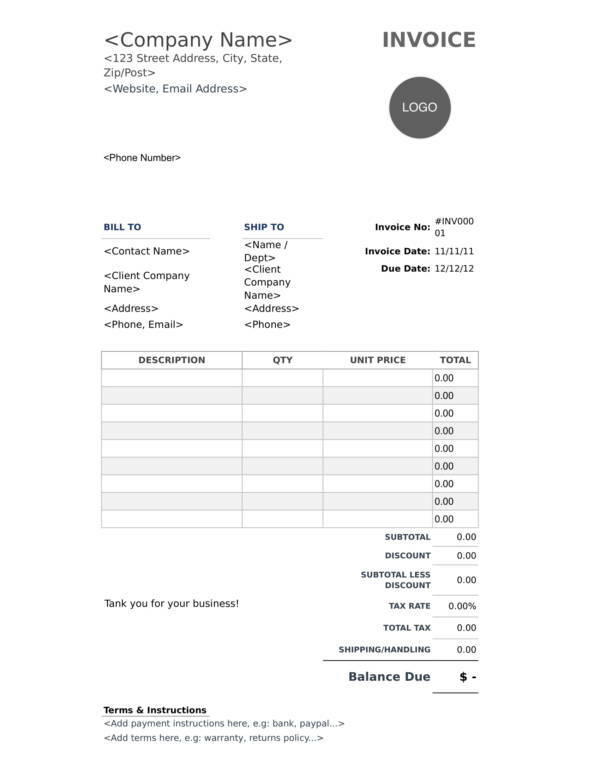 If your business offers recurring services, then this is the right invoice that you will need to use. You basically send a recurring invoice to customers who are subscribed to recurring services and you charge them with the same amount periodically. Being familiar with the different types of invoices will help you choose the best invoice to use for your business. You may also be interested with other related articles, like Real Estate Invoice Templates, Bookstore Invoice Templates, and Retail Invoice Samples & Templates. What Things Are Included in a Dental Invoice? The contents of a dental invoice depends on the preference of the dentist or dental clinic using it. It could be a very common or generic type of invoice format or it could be a very specific and unique invoice. However, these differences will not make it hard for you to learn about the things that must be included in every dental invoice. Below is a list of the things that you will find in a dental invoice. The heading, which is commonly the nae of the dental clinic followed by the names of the doctors working there, the address of the establishment, and their contact details such as their telephone number, fax number, cell phone number, email address and website. 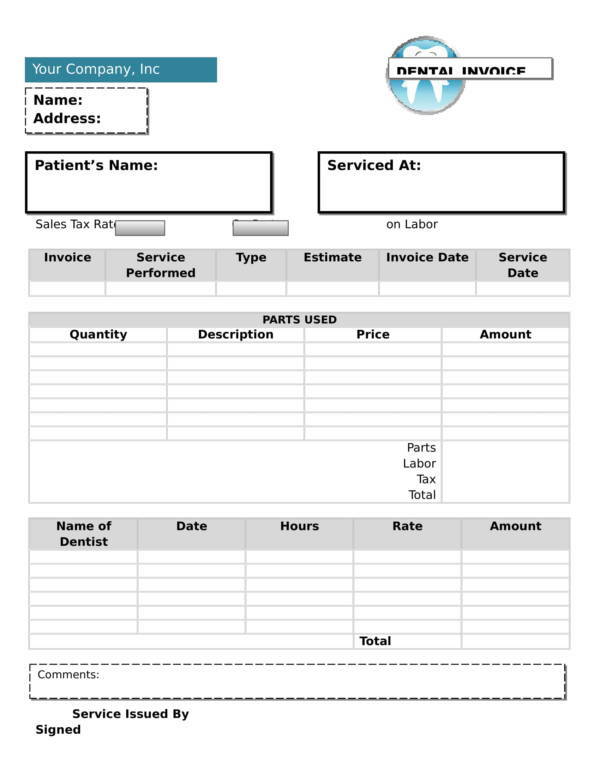 Patient information should also be gathered and supplied in the invoice. This includes the patient’s name, address, age, gender, occupation (optional), contact number and email address. The invoice number, which is a unique combination of numbers and letters, should be written where it can be easily seen. The name of the dentists who is specifically conducting the procedure and other procedure related information, like the list of items used, the price of each item and the labor fee. The date and time of the patient’s appointment, when it started and when it ended should also be specified. The procedures done and other miscellaneous items are also included. The taxes, discounts, promotions and the total amount to be paid is provided usually at the right lower part of the invoice sheet or just below the list of all the procedures and items included. The name and signature of both patient and doctor should also be present and secured. 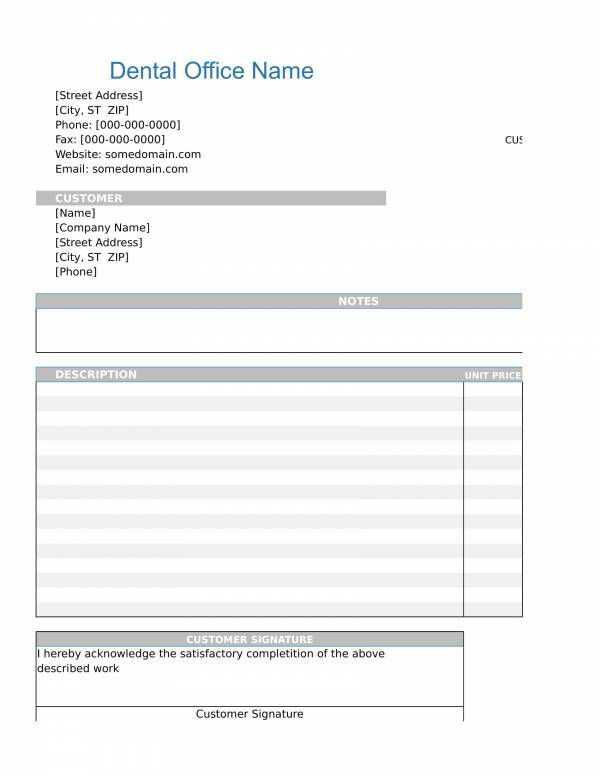 Additional notes are optional, but they can be provided at the bottom part of the invoice if desired. You may see more or less of the listed information on other dental invoices, but that is perfectly fine. There s no one dental invoice template that is best for all dental services, just like there is no one single practice that is best for all people. It is pretty much all about preferences. To learn more about invoices, you may check out other related articles with samples and templates, like Small Business Invoice Templates, Cleaning Service Invoice Templates, and Car Sale Invoice Templates.